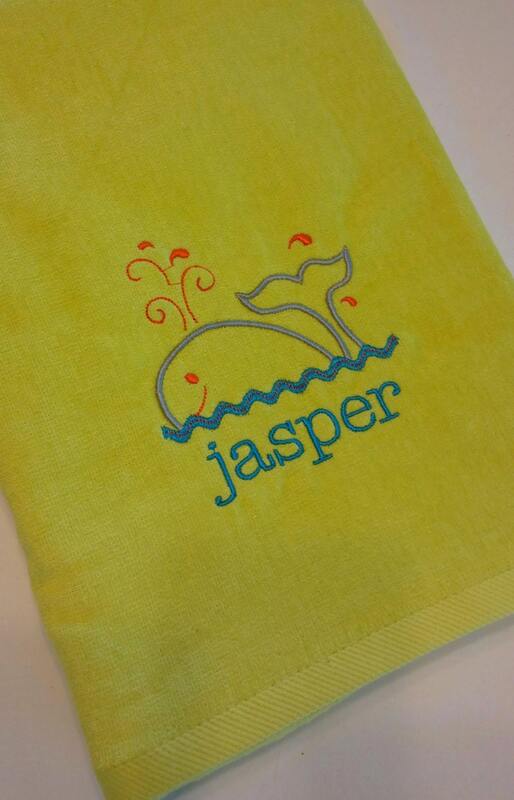 This fun towel features a cute floating whale with an embroidered name under design. Default font will be a cute all lowercase typewriter font. Please let me know if you have embroidery color preferences!